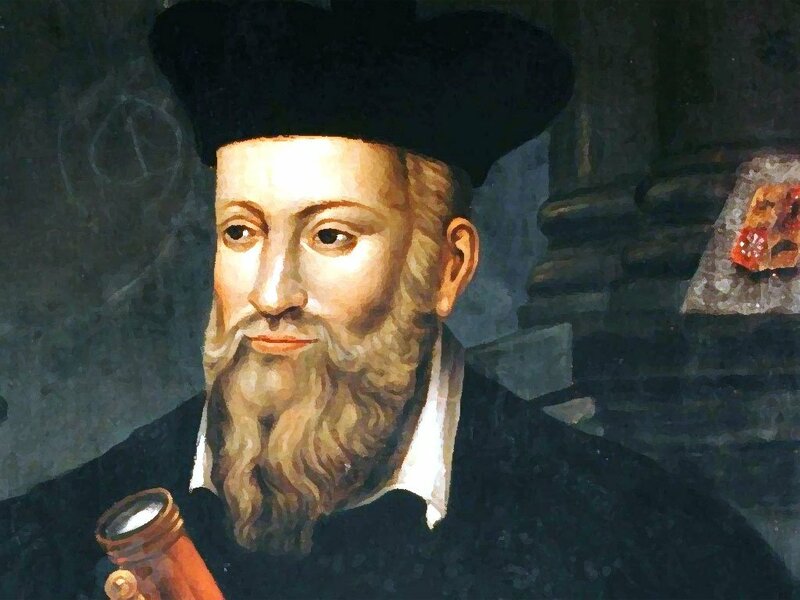 Nostradamus a Curse or a Blessing? – Dr. Turi M.D.U.S. Nostradamus a Curse or a Blessing? Before getting in to the subject of adoption, let me once again prove to you that, my anticipation for quakes above 6.0 took place as predicted; for April 14 and right in one of my 2016 SOS To The World Windows and the prediction (see below) was posted on the cosmic code website for our VIP’s. America / Beginning / Ending of War / Beginning / Ending of Important Portion of Life / Forced Relocation / Forced Actions/ Destructive Actions / Weather / A new Planned and / or Unplanned Life For Many. Author says earthquakes are predictable, Dr. Turi did so since 1991! Environment: Some dramatic happenings related to natural disasters may force the government to make decisions about a situation. Many will be forced to relocate and start a new life due to natural catastrophes. Tornado kills 4, injures hundreds in Uruguay Let’s hope the new Moon will slow down any structural damages produced by large earthquakes. 4/14/2016 6.2 magnitude quake hits Japan. Food and clothing could also be needed and sent to some parts of the world to help children. In Donald Trump at war with GOP BEGINNING OF THE END PREDICTION I also offered my visions to what will happen on April 22, 2016 and I am glad to notice more and more people from all around the world are paying attention to a real Modern Prophet prophecies. Sad enough, I am now muted by all major and popular networking websites and I am asking all our supporters to post my predictions for me. Last night I had a very powerful disturbing dream; where I was to offer a serious warning to all my Internet enemies. And while none of those vexed young souls will never take the following seriously, may the evil forces they created and unleashed upon themselves be merciful, because personal karma can never be understood nor controlled. Like all true Prophets commissioned on earth by God’s Cosmic Divinity, their imparted wisdom can also be turned into a mighty power that no one could never escape! Centuries ago, Nostradamus offered a warning to a group of people under the form of a curse! And I will do the same for those who wish evil and downfall upon us. And no one but themselves are to blame when the winds of pain and suffering wished on us, turn against the unconscious creator! To those of whom and there will be many throughout the centuries, who want to translate my verses, I offer this warning. That, when they read them, they reflect on them profoundly, so that, in their great understanding, they will find words to keep the profane and the ignorant far away. Likewise, popular astrologers, deceiving writers, fools and charlatans. LET ME NOW OFFER MINE! To those of whom and there will be many in this century, who want to deny my predictions, I offer this warning. That, when they read them; they reflect on them profoundly, so that; in their great understanding, they will know I speak to a Cosmic God which the ignorant could never appreciate. Thoughts are weapons of love or destruction no one can escape. Likewise, those who chose to not support or impose with cruel intentions towards mine and Terania’s calling. “Let who ignore my warnings be cursed by the eternal rites of the cosmic code universal ceremonies for a cosmic God does not speak to fools. The majority of people against us are either religiously poisoned, “educated” atheists. Many of them were part of the Inquisition, a dark period of humanity where people like us suffered a prolonged and intensive questioning or investigation, usually ending up burning on the stake. You will find those calculated unemotional dry “educated” robots in all walks of life. Many are employed by large powerful corporations because of their intellectual, non emotional nature, while the born Neptunian will serve the religious matrixes at all levels. Those are our enemies. Those who claim to be the all knowing, the skeptics, the religious poisoned souls, those against the future and the ones wishing for our break down and working overtime to mute me. Laugh at a Cosmic God and Dr. Turi’s liberating cosmic teachings! They are all reptilius infected souls reincarnated on planet earth to strangle the free spirit into submission and keep humanity at a low vibrating psychical level. They are all mentally manipulated by a nefarious group of ET’s they all deny and ridicule. 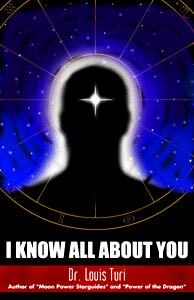 They are the leaders of the religious and scientific matrixes today. They are the ones trapping your spirit into the acceptance of oblivion. They are the ones responsible for yesterday and today’s universal religious and scientific indoctrination that has created and has been creating and cursing all our Internet unevolved, envious enemies… Introducing the Expert Liar and Fraud- “Dr” Turi??? They are the ones responsible for Mother earth continuous depletion and humanity self ultimate, unavoidable destruction. They are the unconscious ones working for the reptilius, trapping human away from God Cosmic Divinity neutralizing them all to heed my teachings of the incredible power of the neutral Supra-conscious in time and space. The only way out of those lost souls karmic created residue will be with a purification Talisman designed to remove ALL self imposed evil. The same Silver talisman can also help you and us at fighting the evil and protect you against all outside influences. Read more! This is and will be the only way for the putrefied body, mind and soul to upgrade its vibrations and free themselves, from a power they could never accept; understand or rationalize with. Should You Fear Witchcraft, Black Magic and Voodoo? Hello, we are from Los Angeles, CA. Thank you for reading our profile and learning about the life we have built over the past eight years. We are so excited to be parents together and are thrilled and grateful you would consider allowing us to welcome your baby into our lives. This is an important, complex and truly loving decision you are making and since we were both adopted, we feel especially grateful and respectful. We’re ready to make a happy, healthy, caring home for a child and hope you might agree. The sad reality is; unless you are cosmic conscious and read the UCI of this child, you have absolutely NO CLUE to what his or her character or his or her fate is all about. You may pick an Albert Einstein or a Jeffrey Dahmer to be but because of the religious and/or the scientific matrixes universal influences, the option to find out is not available to you. I heard stories about adopted children that you would never wish on your worse enemy, yet the system is set as such; by the US Department of Education. Some of those “saved” children sucked not only the wealth but also the health of those unconscious good Samaritans. The nightmare started at an early age and got much worse as the child grew up to what God never intended him to be! I firmly believe, with the proper cosmic education, NO CHILD can turn evil but the solution found in George Noory tv show is muted electronically and may take years to reach the world. And this is why again, it is important for you to share our work as to avoid a sure karma for using my cosmic wisdom for yourself only! Adam Lanza did not have the opportunity to learn about his Cosmic Nature early enough and no one taught him how to apply his will against his over emotional destructive celestial nature. And when I justifiably blame the parents, the teachers, the system and all the cowards who should support the mission or promote this video they all keep quiet. Be ready if you are one of those, because the curse you deserve and created for yourself has been unleashed and none will escape! I can only and very strongly recommend you, BEFORE adopting a child to make sure, his natal stars does not conflict with yours and if they do, know what to do to avoid suffering needlessly for a lifetime! You may ridicule the art and science of Astropsychology / Astroforensics, (or the curse) but in your heart you know I speak the truth through God cosmic will. You can not avoid growing past your limitations, your fears, your academic or religious indoctrination, someone must lead you into the future and “somehow” you landed on me. It isn’t purely coincidental. You may need to experience the curse you created for yourself not helping in making adoptive parents and their God given children wiser. Then “I Know All About You” will be the blessings you deserve for you and your adopted child! All the people you attracted in your life have a very serious karmic repercussion. Something you may ridicule, and I am one of them. I am not here to hurt anyone for karma. It does not need me and can only reach its creator. Ask yourself this question, I may make more sense to you. WHAT did you give the world today? Did you plan to get up and help someone toady? WHO did you help today? And before your day is over, do you PLAN to give something that will HELP someone today? Take my example reader and ask yourself again, how many of my articles did you read so far and how many of them did you share with others as I repetitively asked you to do? There is no lying to yourself my friend… BUILD GOOD KARMA because this is how it work! AND DO NOT FEED EVIL! Just remember, children are born everyday on planet earth and each one of them DESERVE the best of LOVE, the best care, the best education, the best of the best to what you can give those children! But what they really need to regenerate their spirit is not available today because the elite idiots in charge of education only put out man made dogma nor can not relate to cosmic ingeniousness! Furthermore, as a Soul Doctor; I provide spiritual healing and do not prescribe harmful medications to any adopted children. Especially if like me; they were born, by God’s order, ADHD! Those human beings also DESERVE to know what they are bargaining for when adopting a child! Not a single human being is “computerized” by the Universal Mind in the same ways. All children are UNIQUE and all will display their particular “Unique Celestial Identities!’ Their karmic blessings can turn into pure evil if left unattended or unexplained. The only time those children can be reached is just before and after puberty, after this period, you may have created another Adam Lanza. A Cosmic God is my witness watching you from the heavens he created, to see if you will also help those loving hearts to access this cosmic education. You are a child of the Universe. You are a very important part of this immaculate, Divine Universal scheme of things and you must play your own very important part! A magnet can not attract a piece of wood. Like attracts like and with it, your well deserved or evil karma! If everyone in this world were to behave like Terania and I, with courage, dignity, faith and promote what their hearts dictate, humanity may be be given a real chance to reconnect with God cosmic Divinity and enjoy peace, love, harmony and respect for all. But this is HELL readers and instead fools sold their souls to many man made religions or worse, turned themselves into atheists; because they will not even try to challenge their “scientific” beliefs in order to upgrade spiritually to cosmic consciousness. Previous post: Introducing the Expert Liar and Fraud- “Dr” Turi??? Next post: 7.0 earthquake hits Japan, BIG one in California Soon?